I can write a poem for this attar! 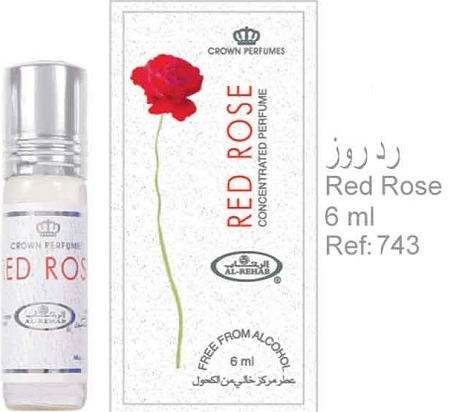 I'm a big fan of Red Rose attar. This has probably the most beautiful and lasting aroma that I've tried of all Al-Rehab attars. Smells like a floral mix with Rose being the main theme or the middle note with a hint of musk and vanilla. Almost makes me want to drink this attar besides putting it on my body. 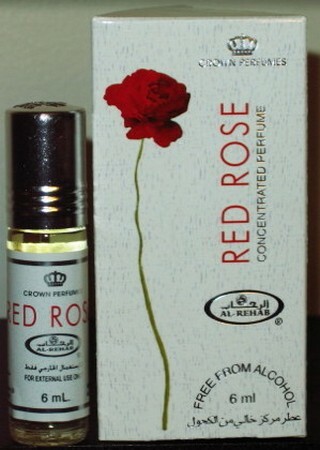 I have 6 of the Al-Rehab oils, and Red Roses is my favorite. It smells nearly identical to Kenzo Flower. It was an absolute pleasure to order from this fine company. Great service, selection, and quality, all at an amazingly good price. My order was shipped quickly and arrived safely and securely packaged. The fragrance is beautiful and long-lasting, and smells many times costlier than its actual price. I look forward to doing business with you again in future and will gladly recommend that others do likewise. Thank you. I really love Red Rose. I get a beautiful powdery rose scent with a touch of vanilla. It reminds me of really nice pressed powder makeup.